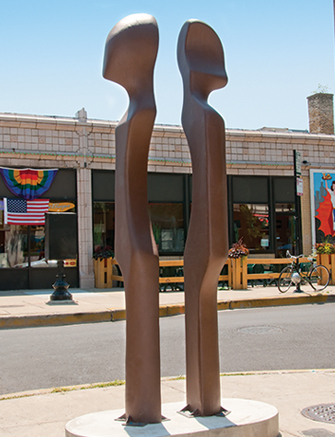 SIZE: 7'6" x 2' x 3'6"
As a student, Jennifer Dickson was interested in the use of space, how spaces were created and how people experienced the spaces they inhabited in their everyday lives. As an artist Dickson embraces these questions. 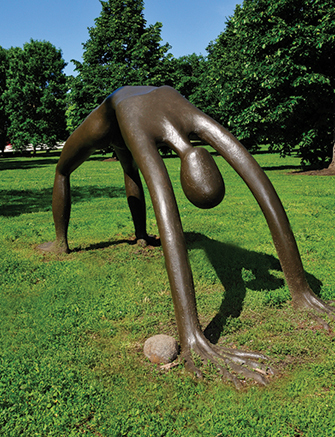 By producing public sculpture, Dickson challenges those who pass through to confront the change in their environment and the message which her work conveys. 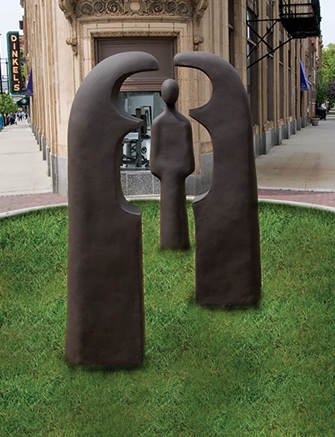 Dickson’s sculpture “We” imparts a message of love. 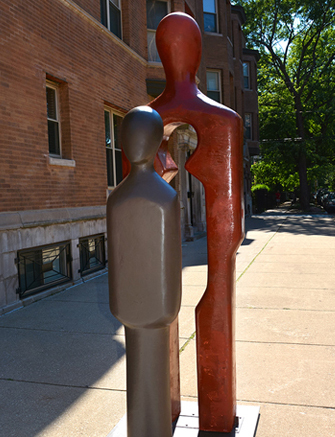 A reference to Aristophanes’ speech in Plato’s Symposium, “We” tells of the origins of love. Aristophanes told how the world was populated by three creatures, one male, one female, and one which was both. All three were ultimately split in half by jealous gods and destined to wander the world in search of their other halves.